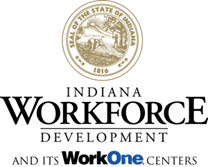 SDIA is approved by the Indiana State Approving Agency to participate in GI Bill® education benefit programs from the U.S Department of Veterans' Affairs! So, if you are in the Military, a Military Veteran or a Family Member who has GI Bill® Benefits, contact us to hear more about our Class A CDL Program! Think Five! Where else can you go where you can take only 5 WEEKS out of your LIFE, less than $5k out of your POCKET, and come out MAKING OVER $50,000 PER YEAR? ANSWER: Nowhere but… SAFE DRIVERS INSTITUTE OF AMERICA! Trucking is the HIGHEST in-demand career there is, with numerous openings to fill all around the USA. Are you ready for a new career? THEN, LET’S “HI-5” AND GET YOU ENROLLED TODAY!!! 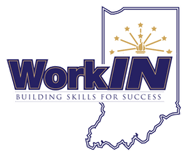 SDIA is an approved Class A CDL Training Program through WorkOne and WorkINdiana. SDIA is an Indiana, State Licensed, CDL, Training School. Our Program has an EXCEPTIONALLY SUCCESSFUL track record! Our students are trained to be SAFE & SKILLED Drivers who are ready to get their CDL License and to pass the state skills test. We are dedicated to helping each of our students succeed and begin their career as a Professional Driver. 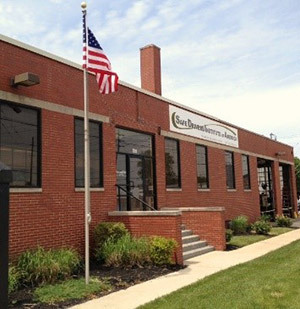 We are conveniently located near downtown Indianapolis, giving you easy access to our Campus. At SDIA you will receive your training from State Certified Instructors. We have licensed, Professional Driver Trainers who are training our students! We are also located on a Trucking Campus. Our facilities & equipment are professional and clean. Our Range is on a black-top surface and we have tons of “live” docks to back up to. You will learn how to drive a semi truck with ONLY you and your Instructor in the truck at one time. (One-on-One Training) Our Program is designed to make you a safe and confident driver. Our class size is intentionally smaller, to give our students maximum time with Instructors. In just a few short weeks, you will learn a skill that leads to a great career in an industry offering a surplus of jobs with generous incomes and benefits. Obtaining a Commercial Drivers License, CDL, is a smart career move. The truck driving industry is suffering from a national driver shortage, which is projected to significantly increase over the next few years. Think about it; most everything travels by truck at some point, and trucking companies are eager to hire safe, dependable and skilled drivers. As other industries cut positions, job seekers are making the transition into a career they can rely on. The skills you will learn at Safe Drivers Institute of America are sought after by companies waiting to hire you! With Class A-CDL , Semi Truck driving jobs in high demand, truck drivers have peace of mind knowing their jobs and salaries are secure. With a multitude of job openings nationwide, you will have confidence in your new career to provide you and your family with a consistent income and a path to a solid retirement. This profession is WHY we exist! We are dedicated to our students and we want YOU to SUCCEED! Obtaining your CDL will qualify you for job opportunities with numerous companies who hire recent graduates. At Safe Drivers Institute of America our graduates finish with a better skill set than most entry-level drivers, and we have job placement assistance with several elite companies, including Home Daily opportunities! Check out our “Testimonials/Awards” page to read some advice and comments from several of our graduates who are sure enjoying their new career in the transportation industry. Our graduates rave about our school and job placement opportunities. Contact us today to learn more about our UNMATCHED CDL TRAINING PROGRAM and how you can be on your way to a new career in an industry that will always be in demand for good drivers! THE BEST TRUCK DRIVING SCHOOL !!! SDIA is eager for students to experience firsthand what actually makes us different from all the other CDL Truck Driving Schools... and the DIFFERENCE is Intentional, not Accidental! We would like to invite you to schedule a personal appointment time at our SDIA Campus to see our facilities, meet some folks, take a tour, receive a CDL Information Packet and meet with our School Director. Please call our office at 317-260-5104 to set up your ½ hour appointment time. Appointments are held Monday-Friday from 8:30am – 4:30pm. Be sure to call us to schedule yours! It is ALWAYS a good idea to visit a few truck driving schools to ensure you are making an informed decision. We are very proud of our School, Program and Staff, and we want you to see what makes us different from all the rest!